Super Star Forwarders Co. Limited (SSF) has been in the transport logistics business for over 30 years, providing customised transport solutions for multinational corporations like Shell and PUMA. SSF is also a regional transport logistics solutions provider for the TOTAL group of companies across East and Central Africa. With stringent HSE policies and customer service as priorities, SSF understood the importance of implementing a reliable fleet management solution in order to maintain their leading position in the region. This is where MiX came in over 10 years ago, and remains as a long-term technology partner today. The customer was introduced to MiX through Tanzania channel partner Superdoll, who implemented the solution and offers ongoing support and maintenance. SSF's commitment to excellence is greatly maintained through tangible and ongoing safety and efficiency results that have been achieved using a MiX solution. This has been the case for the past eight years. Within three years of implementation, SSF's accident rate had been reduced by 50%. In addition, zero night-time accidents have been reported over the past eight years. "A safer fleet meant we became the first choice for our customers," said Mr Pradeep, Head of Commercial and Operations at SSF, adding, "The solution enabled us to gain our customers' trust, as they were reassured that their cargo was in safe hands." 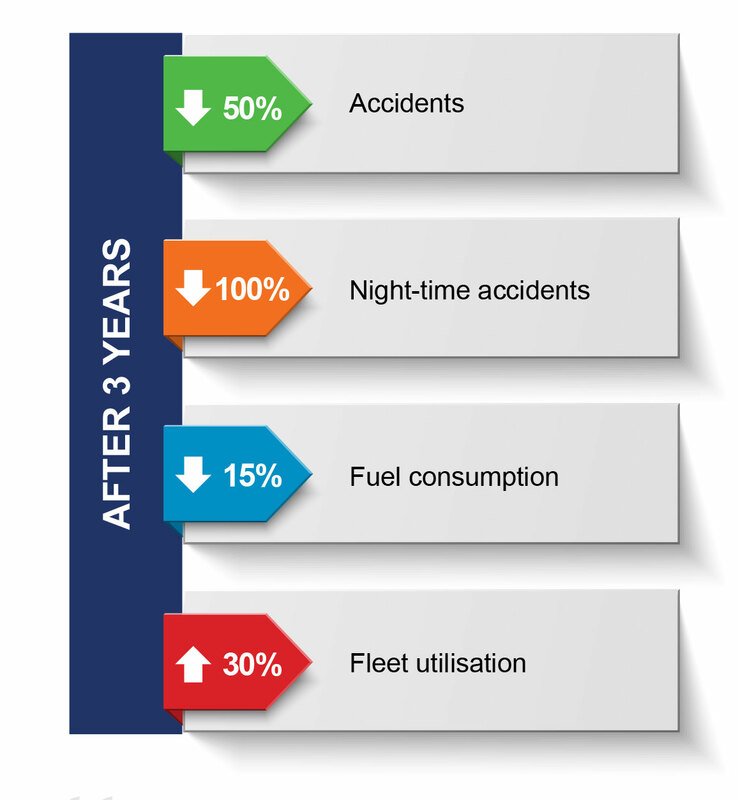 The MiX solution also enabled SSF to improve their fleet utilisation by 30% after three years, while fuel costs were reduced by 15% within the same timeframe. SSF is also equipped to better maintain their fleet and reduce associated costs. This, combined with other benefits, has brought about a significant improvement in their customer service levels. "The MiX solution has in many ways become the heart of our operations. It enables transparency across our business, which helps us maintain high levels of performance." – Mr Pradeep. The journey began with a MiX Telematics standalone fleet management solution, which was fitted in SSF's Tanzania fleet by Superdoll. Later, installation was extended across the customer's entire East and Central Africa fleet, totalling 203 trucks. From early on, SSF realised the need to engage their drivers in the process of adopting the new technology. Toolbox sessions and educational workshops were held, which proved highly effective in curbing initial resistance and instances of system tampering. Between 2012 and 2013, SSF made the decision to shift from a standalone solution to MiX's web-based platform. Today, they enjoy all the features and benefits of real-time tracking, notifications and navigation, as well as driver behaviour monitoring. Any new vehicle to SSF's fleet does not hit the road until a MiX solution has been fitted. In the near future, SSF plans to enhance their fleet management solution by including valuable add-ons such as MiX Vision, and MiX Go. The solution enabled us to gain our customers’ trust, as they were reassured that their cargo was in safe hands. This went a long way in helping SSF to become a first- choice transport provider for customers.